Today is the release of the Mallgrab video on Free Skatemag‘s website. 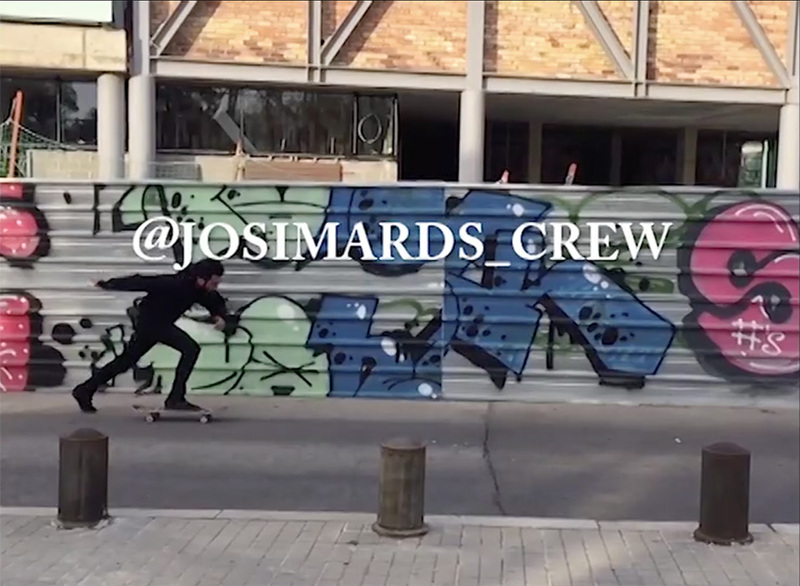 It is a video from the Josimard Crew from Lyon, France, which includes Metropolitan skateboards team rider Steeve Ramy and is mostly made of the HDV crew (for Hôtel de Ville’s spot in Lyon: Alex Maison, Arthur Derrien, JB Gillet, Adrien Coillard, Flo mirtain, amongst others…). Check out Steeve’s long awaited part which starts at 10mn32 and gives a damn good span of his skills and style. Pretty good soundtrack too by the way with that 90’s flavoured track « Living Every Dream » by Antwon. We dig it, not to say the least, of course! Enjoy!